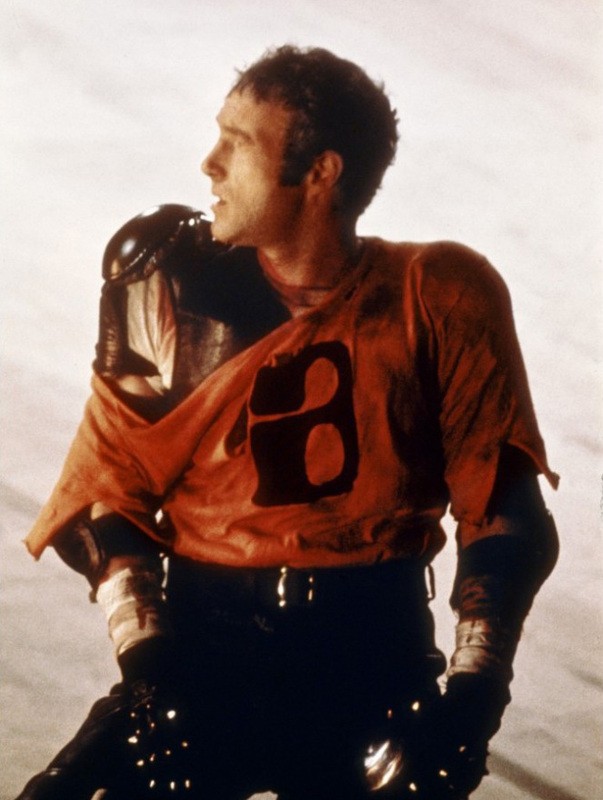 James Caan mumbles his way through this entry on the 101 Action Movies list under Norman Jewison’s guidance working from a script by William Harrison (based on his own short story). 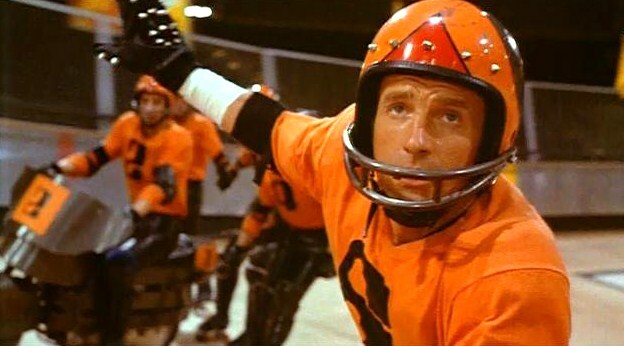 In a dystopian future when corporations have replaced governments (so you know, sometime around now), the game of rollerball is the only release for an increasingly lazy society, a violent game played in a circular arena with motorbikes and rollerskates. One man however has made himself a hero of a game that isn’t supposed to have heroes. Jonathan E. (Caan) the captain of the Houston Energy team loves the game, plays it like no one else, and has become a legend, distinguishing himself, and claiming fans worldwide, much to corporate’s distaste. So, they demand he retire, leave the game gracefully. He refuses, and begins a hunt to find data, simple knowledge, on how corporations make their decisions, but all of this information is classified, and he comes up against walls everywhere he turns. The corporations up the stakes on each of the remaining games in the season, eliminating penalties and substitutions, making for even more brutal games, and some amazingly visceral scenes. In the climax, the added rule of no time limit means that it’s a last man standing all-out fight to survive. There’s a wealth of familiar faces in this film, John Houseman, Maud Adams, Shane Rimmer, Burt Kwouk and Ralph Richardson, but everything rests on Caan’s shoulders, and physically he pulls off the role very well. The game sequences are excellently crafted filled with a realism that makes you feel as if you’re watching an actual sport, there’s a gladiatorial feel to the games, especially as the blood lust of the audience builds. These are people who have almost all they every want but have no release for violent behavior, of which there is little, but whether we like it or not, it is a part of human nature. While I can say that I was captivated by the action sequences the scenes around them seemed almost lacking in life, and I had a hard time staying involved with the film. For all that, the film still works better than the remake from 2002. It was a good film, though I’m not sure it should have ended up on the 101 Action Movies, none the less I was glad to have added it to my list of films I have finally seen. I am midway through the 70s, and I know there are tons of films coming up that I have seen, and lots of them that I love, I cannot wait for a chance to revisit some of them while continuing to explore new films as well. Have you seen this one? What are your thoughts? Excellent post. I wasn’t crazy about this film, but the action sequences were great. Thanks! And I couldn’t agree more, the game was awesome, everything else around kind of lagged!